St. Modwen has secured planning permission for its housebuilding business to deliver 85 homes at its £100m St. Andrew’s Park development, in Uxbridge, Greater London. 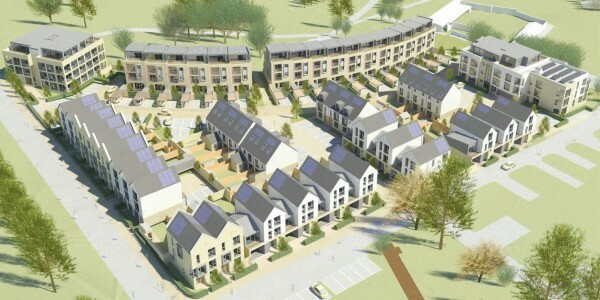 The properties will form part of a 1,300-home new community at the former RAF Uxbridge site in Hillingdon and will sit on the edge of London’s newest park – a 40-acre area of woodland and parkland at the heart of the development. St. Modwen Homes will deliver a range of house types, suited at people on all stages of the property ladder, including three and four-bedroom family houses and one and two-bedroom apartments and maisonettes. Dave Smith, Managing Director at St. Modwen Homes said: “Now in its fifth year, St. Modwen Homes continues to go from strength to strength and, in the last 12 months, we have nearly doubled the amount of homes we’re delivering across the UK. In keeping with St. Modwen Homes’ philosophy of light and height, each of the new homes will boast high ceilings and large windows, as well as spacious rooms, to create bright and open spaces throughout. Additionally, all the new homes will have their own parking spaces as well as lockable cycle storage and access to visitor parking. St. Andrew’s Park is being developed by St. Modwen and its joint venture partner VINCI on the historic former RAF site, which played a pivotal role in the Battle of Britain. The new development is rapidly taking shape, with over 100 homes and the John Locke Academy primary school already completed. Additionally, the Grade II listed Hillingdon House is due to be redeveloped as a restaurant and office space and St. Modwen is awaiting planning consent for the new office park next to the town centre. St. Modwen Homes currently has 15 live sites located across the UK and, in 2013, completed 117 apartments in the iconic 13 storey Wembley Central building (its first development in Greater London), located adjacent to the tube station in Wembley. Halogen provides PR and communications consultancy for two of St. Modwen’s key regions across the UK – London & the South East and the Northern Home Counties.